A super-cool combination of pink and rose gold features on this gorgeous table confetti, perfect for adding some glamour to your Hen celebrations. Simply scatter across your chosen surface to create a fun look in moments. 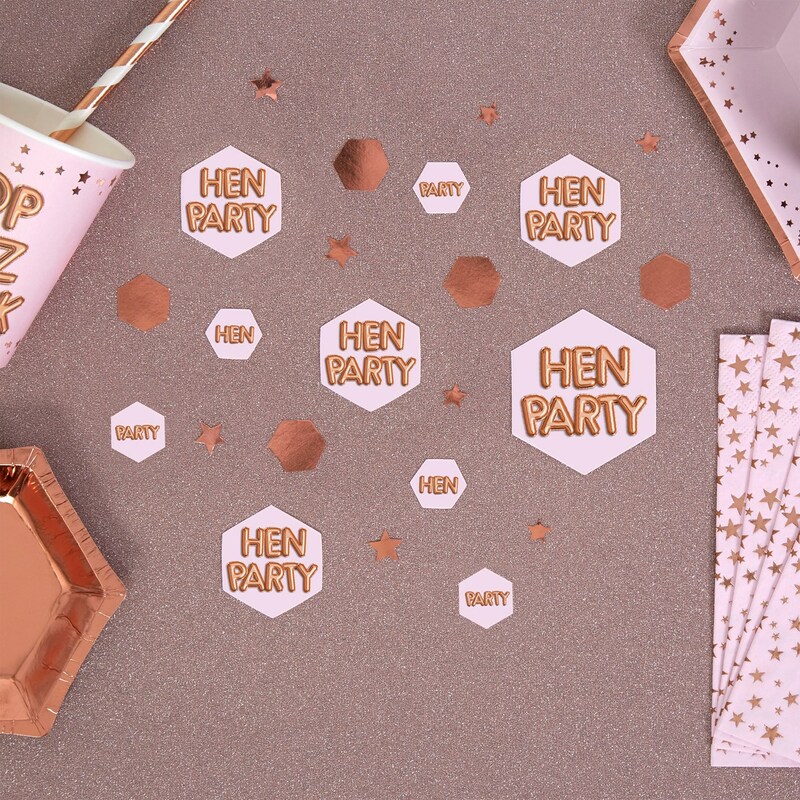 Each pack contains motif confetti (’Hen Party’, ‘Yay’ and ‘Party’) and rose gold hexagons and stars. Each pack contains 14gms.